Hi everyone! Today Elle and I are styling prints and patterns! Mixing prints and patterns is one of my favorites! 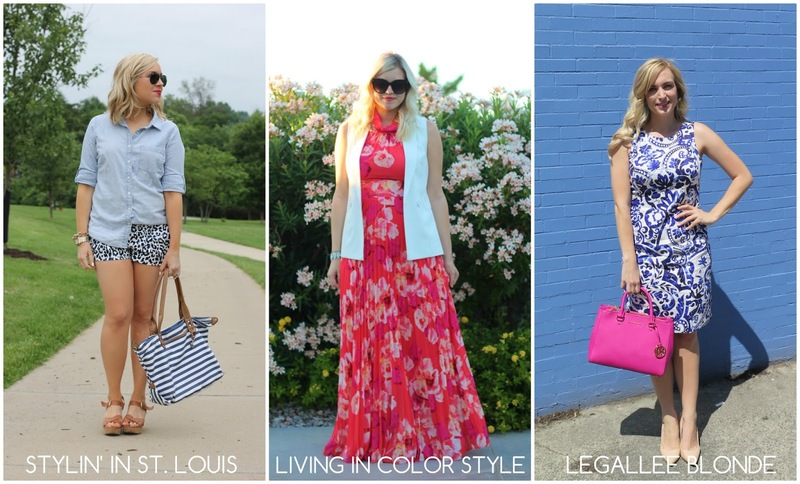 Be sure to link up your prints and pattern looks with Elle and I! 1. 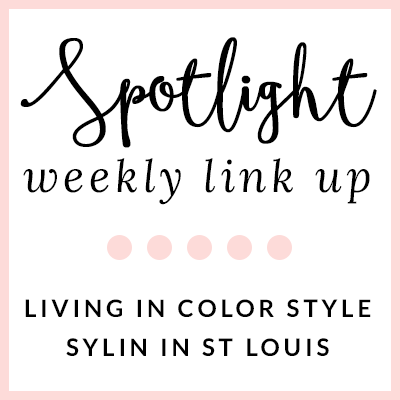 We kindly ask that you follow the two hosts: Elle from Living in Color Style, Jacqueline from Stylin' In St. Louis, and our co-host Lee of LegalLee Blonde via Bloglovin or GFC. 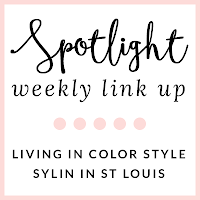 Spotlight: Our spotlight this week is Kristyn of Glamour-Zine! Kristen's pastel look is perfect! He soft pink blazer is gorgeous! 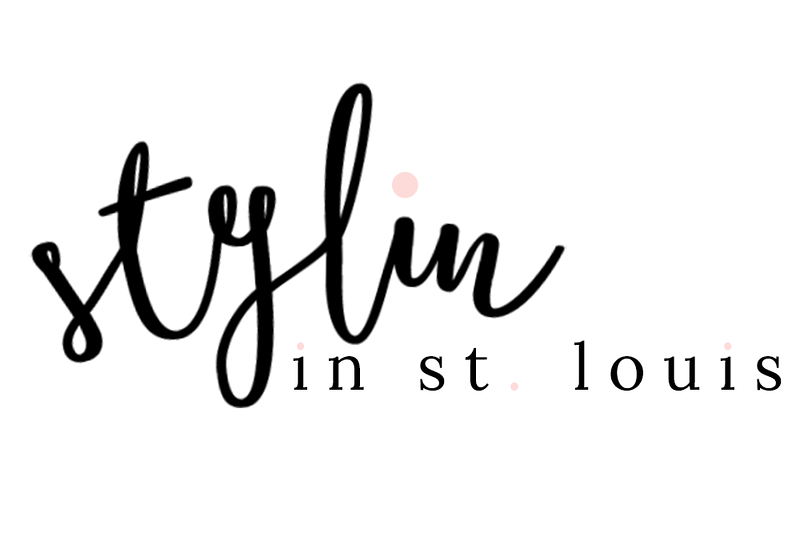 Be sure to check out her cute blog! 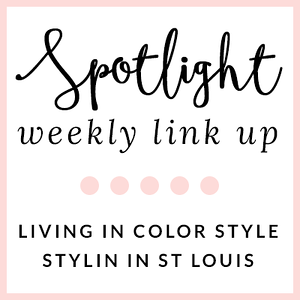 Next Week: Next week our spotlight weekly theme is spring brights! Thanks for linking up! love this casual style! perfect shorts! Those shorts are so fun, super cute casual look! these shorts are so cute. Loving the chambray + printed shorts, doll! Love your cute shorts! The wedge sandals are the perfect pairing. Those are really the cutest shorts! Such cute shorts! Especially with the striped bag! Adorable shorts and loving your stripe tote! Those shorts are so cute! Love this casual look! What adorable shorts and they go great with that striped bag! I was going to say what Carrie said above. Very cute look nonetheless. I love your shorts! I can see them styled with so many diff. tops! I have that purse and love it too. Such a great look! Thanks for having my co-host today!! Those shorts are too cute, love the pairing with the striped bag! These printed shorts are great and chambray shirts are always the best. I love your printed shorts! Great post, love the prints and patterns, chambray is always the perfect mix. I love this stripe bag! such a cute outfit!